I am glad to announce that our paper "Interactive Indirect Illumination Using Voxel Cone Tracing" (cf. 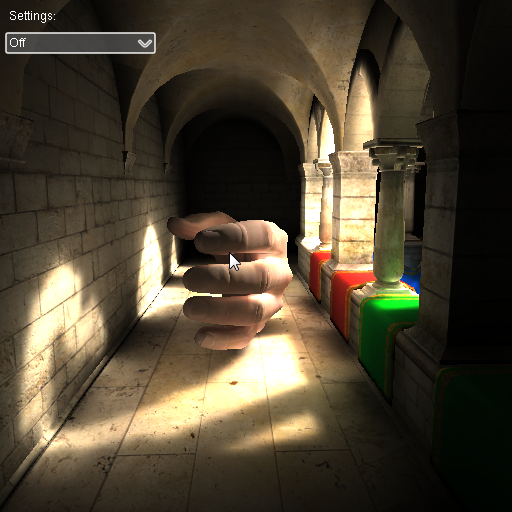 my previous post http://blog.icare3d.org/2011/06/interactive-indirect-illumination-and.html) has been accepted at Pacific Graphics 2011 ! Also, don't forget to attend my talk if you are going to Siggraph 2011 ! 2 Comments for ""Interactive Indirect Illumination Using Voxel Cone Tracing" paper accepted at Pacific Graphics 2011"
Hi Cyril, I have read the post "AN INSIDE LOOK AT NEW RESEARCH ON CG GLOBAL ILLUMINATION" on nvidia blog, at that time you said "The source code should be available soon for everyone. ", but for now I can't find it anywhere, beg your pardon, is there still a chance for the source code see the light of day? Thank you for your awesome work! I am a research scientist at NVIDIA Research. I got my Ph.D degree in computer graphics from Grenoble University at INRIA, France. This is my personal blog and what I publish here does not necessarily represent the opinions of my employer! Marco Salvi "Pixels Too Many"